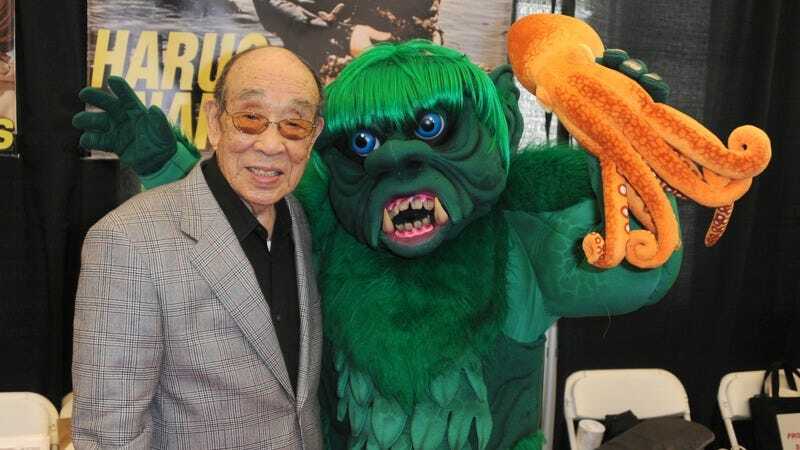 Haruo Nakajima, the Japanese actor who originated the role of Godzilla by stomping around in a hot, heavy suit long before the introduction of CGI, has died. Horror site Bloody-Disgusting reports the news, as does the UK-based International Business Times. He was 88. Born in 1929, Nakajima was a stuntman and contract player at Toho Studios who performed in bit parts in Akira Kurosawa’s Seven Samurai (1954) and Ishiro Honda’s Eagle Of The Pacific (1953) before stepping into the title character’s gigantic shoes for Godzilla in 1954. In a video interview for Great Big Story earlier this year, Nakajima says he based the character’s movement on gorillas and elephants he observed at the zoo on his lunch breaks, and explains that, as rubber was scarce in postwar Japan, the original Godzilla suit was actually made of mixed concrete and weighed more than 100 kg.